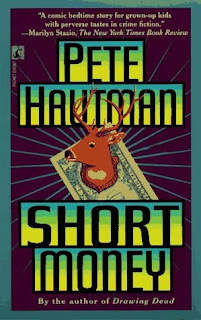 Short Money is right on for a fun read. In this prequel to "Drawing Dead," we meet Joe Crow and see his dissatisfaction with being a cop. As the story begins, Joe manages to get himself fired for handcuffing the sheriff's relative, Ricky Murphy, to Ricky's Hummer and leaving him there. Joe's brother, David Getter, gets him a job as a bodyguard to Dr. Nelson Bellweather (Nellie Bellie). Nellie is a plastic surgeon and trophy hunter with a home full of mounted animal heads. George and Ricky Murphy own the Talking Lake Ranch where they arrange hunters to come to shoot animals that the Murphy's have set up as easy kills. George's son, Shawn, tells his father something that makes the family enraged and desirous of revenge on Nellie for an insult to the family. Shawn goes out in the snow and shoots his father's prized Elk, an animal that George wanted to use for a hunt at a $20,000 fee. Now George must think of a way to set it up to still get the money from an unsuspecting hunter. 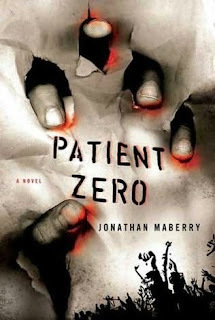 Shawn runs away to the doctor's home and much of the story details the Murphy's search for Shawn and Nellie with Joe Crow trying to keep Nellie safe and learning that Shawn is with Nellie and that Nellie is attempting to get a reward before turning Shawn back to his father. 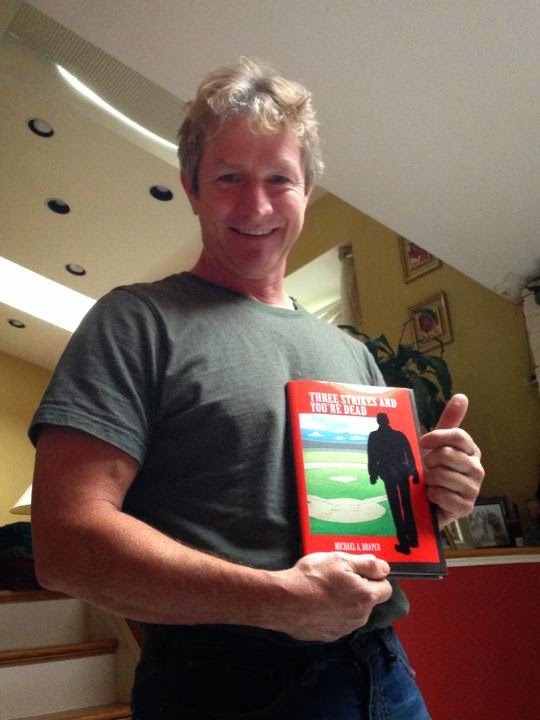 This is a dialogue driven novel and I see much influence of Mark Twain and Elmore Leonard. It was fun to picture John Travolta in Leonard's "Get Shorty" and think of Travolta playing Joe Crow in a similar movie. 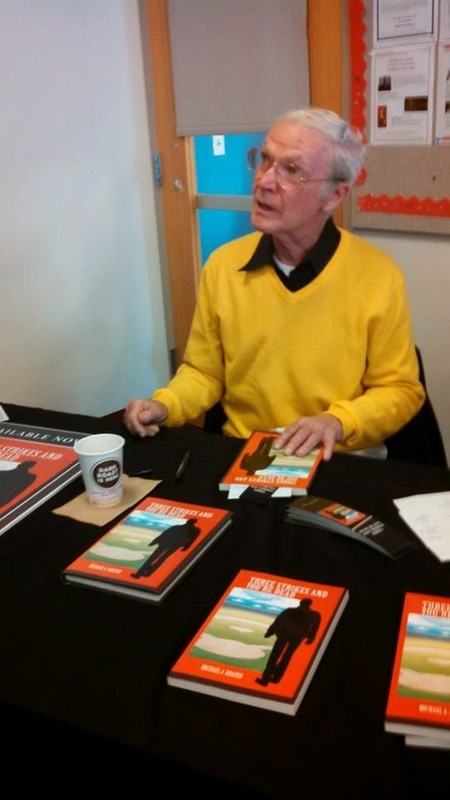 In his blog, Hautman tells of the influence of Twain, in the character descriptions, the humor and in keeping the discourse to a bare minimum. Also, the character of Shawn seems to be a mixture of Tom Sawyer and Huck Finn. Where Sawyer ran away from home in the start of that novel, and Finn was the son of the town drunk. The prequil to Hautman's "Drawing Dead," this novel brings back ex cop Joe Crow for another misadventure. Charlie Parker has lost his P.I. license so moves back to Portland and gets a job as a bar manager. Since he has time on his hands, he decides to look into his father's suicide. His father, Will, was a former New York City police officer who killed two unarmed teenagers. After turning himself in at the station, he went home and killed himself. In another part of the story, young people are killed and a symbol is placed on them or nearby. In Charlie's investigation, he finally gets his father's old partner to give the details of the shooting. Will and his partner found a young woman, Caroline Carr who was in distress and claimed that a man and woman were after her and were strange. Will protected Caroline and later slept with her and she became pregnant. Just as she was about to give birth, the man and woman appeared, the man was distracted and was killed in an auto accident but the woman killed Caroline. However the baby lived. At the same time, Will and his wife, Elaine were expecting but when Elaine tells Will that the baby she was carrying has died, Will decides to raise the baby of he and Caroline as his own. As Charlie learns about the two children that his father killed, he learns that these entities had killed Caroline, now were here again in the body of different hosts. But now they were after Charlie. His father wanted to stop them, whatever the cost. Things happen and the suspense is constant. This is well done and once started, is hard to put down. The evil forces are after Charlie, Charlie and his friends Angel and Louis are there to meet the evil forces, how they do it and what the outcome is are part of the fun. 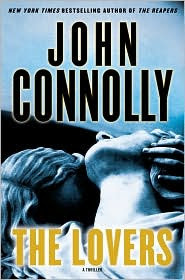 The reader has to be able to suspend their belief in the real world and be able to move into the science fictional world that John Connolly writes about so well. Charlie Marsh has always been a small time criminal. He's having an affair with Sally Pope when someone gives photos of them to Sally's husband, a U.S. Congressman. There's a confrontation and someone shoots the Congressman. Sally is charged and Charlie is her co-defendant. Thinking about his past legal history, Charlie escapes to an African nation, Batanga. They do not have a extradition treaty to the U.S. He's there at the whim of sadistic dictator, Jean-Claude Baptiste. However when Baptiste finds that Charlie is having an affair with his wife, he has his wife killed and Charlie barely escapes back to the U.S. In the second portion of the book, we learn about Charlie's time in prison and how he rescues a warden from a knife wielding inmate by moving into the conflict and taking the knife wound himself. He's released as a hero and writes a best selling book about his supposedly religious conversion and how people can find peace within. Now that Charlie has returned to face trial, he hires Amanda Jaffe to defend him. 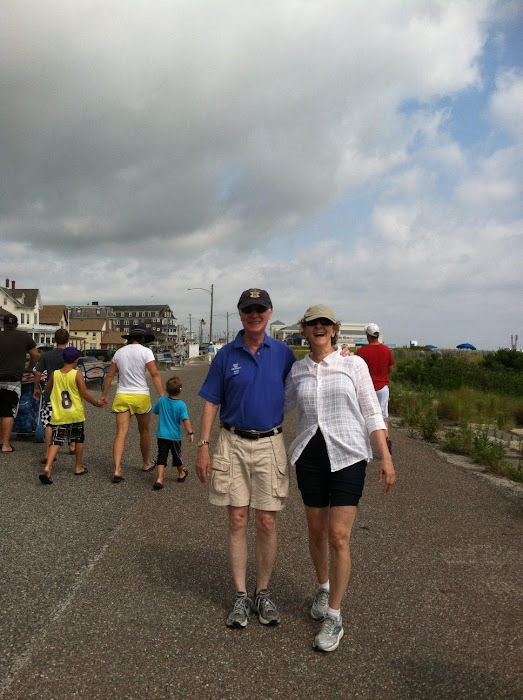 The story is professionally written and we learn the events leading up to the Congressman's shooting and the attempt to frame Sally in the affair. Amanda's father did a masterful job in uncovering the facts so that the prosecuting attorney dismissed the case against her. However, 12 years later, when Charlie turns himself in, something happens to Sally Pope and a number of people have a grudge against Sally. When Charlie left Batanga, Baptiste's wife's brother gave him some diamonds to get out of the country so he could later use those diamonds to fund an overthrow of the dictator. Baptiste sends one of his strong armed men to get the diamonds and teach Charlie a fatal lesson. We are kept guessing as Amanda uncovers facts to show who did and who did not commit the crime. Amanda is an excellent character who has appeared in other Margolin novels and I look forward to her reappearance. There were some nice plot twists that kept my interest and the drama was spread out. All of the work John Connolly did on his rewriting paid off. This book is another fine story. Charlie Parker has lost his private investigator's license and takes a job in a Portland bar. He thinks about old times and his father's death. His father was a policeman in New York and shot two young people and killed them. The reasons were never made clear because his father committed suicide shortly thereafter. Charlie decides to look into things and see if he can find any answers to one of the major events of his life. Currently enjoying this best seller. The author certainly knows how to tell a dramatic story that keeps the reader on the edge of their seat. I'm holding my breath waiting to see how it will come out. After the 2008 success of "Tell No One" where the French adaptation of Coban's 2001 best seller, the author returns to Paris for the start of this story. Myron Bolitar gets a call from an old girlfriend, Terese Collins. She asks him to come to Paris. At first she says it's for an evening of fun but it turns out differently. Myron wasn't going to come but circumstances made him change his mind. Once he arrived in Paris, Police Capt Breland and another officer detain him, question him as to why he's there and permit him to leave. Myron meets up with Terese and once again the police detain them both. Myron tells Breland that Terese informed him that her former husband, Rick Collins, had something urgent to discuss with her but disappeared before their meeting. The police had put a listening device in Myron's cell phone at the airport. They tell Myron and Terese that her former husband has been murdered. 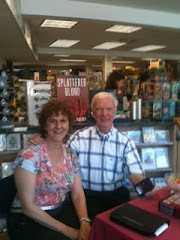 In addition there was blood and DNA at the scene came from Rick and Terese's daughter. Terese is startled. She only had one child but that child was killed in an accident. Once more Coban is a puzzle master. His solution is logical and I shook my head that I didn't figure it out. The plot is highly original. Myron Bolitar is an interesting, humorous character of numerous Coban novels. His friend Win gets better and better. This reader would love to see him made the leading character of a future novel. The final conflict of this story is ingenious and demonstrates why the author is among the very top of authors in the mystery and popular field. The ninth book in the Myron Bolitar series. 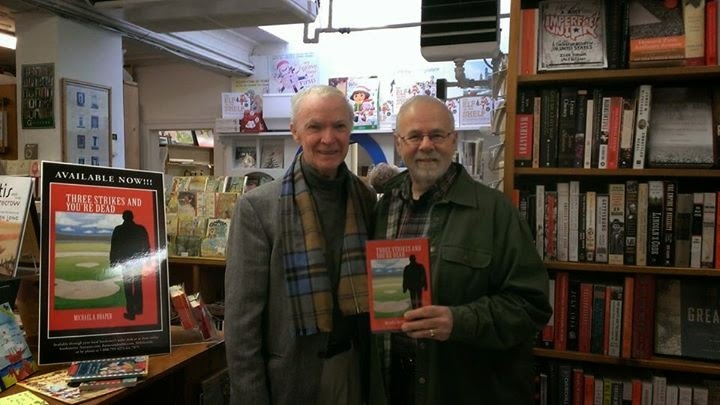 Myron is in Paris to help an old friend and lover, Terese Collins. Terese has asked for help. Her former husband called and said he had something urgent to discuss and then disappeared. 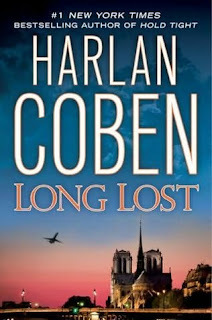 When Myron arrives in Paris, the French police are also interested in the case. The former husband, Rich Collins has been murdered. There is DNA evidence that his daughter was at the scene. Terese didn't know he had a daughter. Then police say the DNA matches her too and that she is the mother. How can that be? 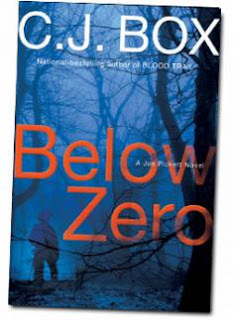 Read "Below Zero" and warm up you night. A phone message comes in to Joe Pickett's home. The message was from April. When Joe's family hears about the message, they are shocked. April was Joe's foster child and she died five years ago. April contacts Joe's daughter, Sheriden, by texting her, but April was at a home that blew up in a gas explosion. Joe saw her face in the window and moments later the house blew up. He asks Sheriden to text back and ask the person claiming to be April some questions that only April would know. When she answers correctly, Joe and his wife Marybeth feel as they might have a second chance with April. April had been abandoned by her mother when she was six. Marybeth took her in as a foster child. Three years later the Sovereigns, a group of Montana Freeman survivalists took April back by legal maneuvering. The survivalists were wanted by the FBI and while cornered in a trailer there was an explosion. In the cover of the smoke, one of the survivalists escaped on a snowmobile and April was on the back. She moved from family to family and when she was with one family that only cared for her and a few other foster children, the father started to make motions as if he would abuse her. Another child, April's age, stood up for her. Then the father took April to a brothel. He sold her there and they were grooming her to work there. However, a man named Stenko arrived and wanted to cash out his investment in the whore house. He saw April and was reminded of his daughter Carmen who died. He argued with the whore house owner, shot him and took April. Now that man, who has terminal cancer, and his son are on a killing spree. The son is an extreme ecologist and the father is trying to win his affection during his final illness. They are traveling around and killing people who harm the ecology. This is much more than a mystery. The author explores the family relationships and the question of trust between parent and child. C.J.Box also does a nice job in describing the unending love between parent and child and shows that this is also true of adopted children. The writing is smooth and the story is an easy read. C. J. Box has written another fine story. Years ago there was an incident with Joe Pickett's adopted daughter April. She was in a trailer and the police were after the people in that trailer. FBI wouldn't wait to be sure children were not being held but a gas explosion killed three people. Two adults and one child were found burned beyond recognition. Joe thought one of the victims was April until his daughter Sheriden gets a text from April. Now Joe must find April and have a second chance to care for her. Joe Ledger is a detective in the Baltimore PD. He goes on a raid against a terrorist cell and there is a shoot out with some terrorists getting killed. Joe is recruited by a super secret organization called the DMS Dept of Military Science. They bring him to an office where he's asked to confront a man in the interview room. When he does, the man attacks him and Joe recognizes one of the terrorists that he just killed. The terrorists have devised something that makes the person killed turn into a zombie like figure and attack anyone nearby. Their bite then infects the new person causing them to also become an undead zombie type. The DMS calls these people Dead Men Walking or Walkers. In Afghanistan, Sebastian Gault is selling bio technical information to the terrorists. He owns a pharmaceutical company and believes that once the infection spreads in America they will need the pharmaceutical companies to come up with an antidote and he'll make billions. At the DMS the person in charge is Mr. Church. He tells Joe that two of his response teams have been killed by these walkers who got into a hospital and started killing everyone there. When the teams arrived they were taken unaware and infected. Now Joe must form a new team to combat the terrorist plot. How Joe does this is told with great suspense. Joe is an excellent lead character. He forms a friendship with Brit. Maj Grace Courtland and a romance ensues. 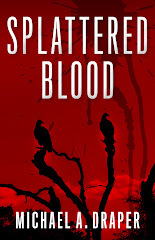 The story is well told, the reader must have an interest in horror as well as mystery but once you start it, it is very difficult to put down. "The Family Bones" enjoyable read. Steven Weaver, an ordinary guy, takes his wife, Tara, and two children to see the home he just inherited in the country. Suddenly it's Stephen King city. Strange things begin to happen. Tara is drawn to a well and feels dizzy and about to fall in, 8 year old Charlie becomes lost in a basement and Steven finds an unexplored corridor which turns into a maize. When Steven falls from a ladder and looses consciousness, he awakens and meets his Uncle Ben and son Jack who live in the guest house and have been looking after the main home since Steven's grandparents' died. Steven's parents were killed in an auto accident when they came to see him at a boarding school. The accident happened in front of him and he spent time in psychiatric care afterwards. It's on the family's next trip to the home that things get scary. They follow a path to a river and see some buried canoes. Steven becomes ill and Jack comes and carries him back to the house. Other things happen and it feels similar to Stephen King's "The Firestarter" when Andy McGee had some experiments on him and developed telekinetic power. Raiser tells a fun story that in totally unique. The characters are strong and plot twists are abundant. It mixes mystery and science fiction in a nice matter. Read this one for some old time fun. 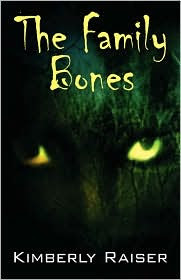 "The Family Bones" an exciting mix of mystery and science fiction. Don't read this book if you plan on visiting an old family property in the country because what happens in this book will scare you away and you'll lock your doors in hope that this won't happen to you. "The Big Thaw" Perfect for a summer day. Deputy. Sheriff Carl Houseman thinks he's going to investigate a home burglary but finds the two robbers shot execution style in the home of a wealthy farmer who was in Florida at the time of the shooting. Cletus Borglan is the farmer and he's into the rights movement. There are implications of one of the anti government civil rights programs. As the investigation slows down, Carl and one of his men spot a snowmobile driven by a man wearing night goggles and when they stop him and he puts up a fight they find he is an FBI agent acting under cover. When the Agent in Charge of the area FBI arrives at Carl's office, he tells the police that he's been tracing a man called Gabriel, aka, John Henry Nieuhauser, a bank robber who is planning on robbing 5 banks in the area. Gabriel has killed one police officer and was in the home of Borglan when the burglary took place. 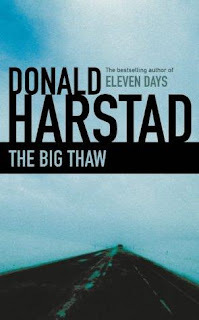 Harstad's writing style is vivid and picturesque. It's easy for the reader to imagine the scenes as they unfold almost as if watching the story on a movie screen. Houseman is an interesting lead character, I picture him as a John Goodman. Humorous and likable. He's knowledgeable about the law but also flawed. It is also interesting to read about the effect on Houseman's family life due to the time spent away from them while investigating a double murder. 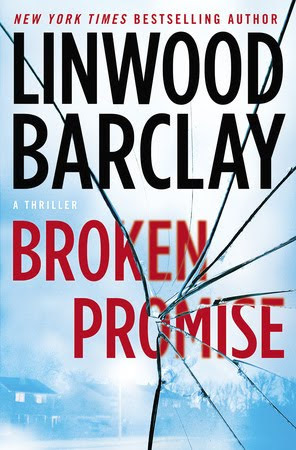 The plot meanders a bit toward the end but overall a fun read. What happens to the abuser when his victim fights back? Lauren Covington is a 23 year old student and newspaper employee. She seems happy when with friends but at home she's under the thumb of her father, Alex. a domineering, control freak who physically and verbally abuses his family. She meets her knight in shining armor, Jesse Ryder, a private investigator and the two immediately are attracted to each other. Jesse had been doing some work for Lauren's father but when Alex asked him to manufacture some evidence and frame an innocent man, Jesse quits. Lauren keeps control of her emotions and smooths things at home but her brother can't take Alex's abuse and takes a quantity of drugs to escape and overdoses. Lauren can't help but tell Jesse of the abuse and her father's affairs. Darcia Helle tells an enticing story. This novel has an important message and should be made available at women's shelters where they attempt to help abused women. The story is well told and Jesse is a likable character and believable. Lauren and her mother are somewhat meek but perhaps that is a trait of abused women. Lauren does become stronger as the story progresses. Helle tells this reviewer that she has been influenced by Tami Hoag, John Sanford and Janet Evanovich but in Lauren's resolve, I detect influence of Sue Grafton. There is a good resolution and the reader feels that a lesson has been learned. Copies can be found at the author's web www.QuietFuryBooks.com or at Amazon by listing the book title and indicating "paperback copy. Take this over to the counter and buy a copy. Move over Dr. Kay Scarpetta, there's a new kid on the block. Theresa MacLean is a forensic scientist. She and her fiance, Paul Cleary are called to the scene of a brutal murder. The victim, Mark Ludlow, is a bank manager in a Federal Bank nearby. When Paul goes to the bank to question officials about Ludlow he is trapped by two robbers who hold the bank up. Paul is taken hostage but doesn't disclose his identity. Patrick Cavanaugh is the hostage negotiator assigned to the scene. Inside the bank, Paul sees the robbers attempt to harm one of the hostages. He identifies himself and tries to stop them but he is shot in the leg. With her fiance bleeding, Terry offers to drive the robbers get away car to the front of the bank and exchange herself as hostage so Paul can get medical treatment. They also release another hostage. This person is Mark Ludlow's wife and she is ordered to get money that is stored in a different area of the bank. The robbers are holding her child as hostage so she will return with the money. 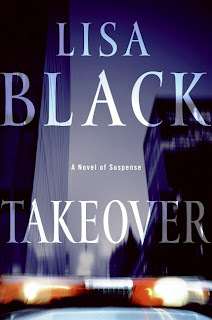 Lisa Black has the talent to keep the reader interested in this tightly knit story. Theresa Mac Lean is a well drawn, heroic character. She uses her knowledge of forensics to help with the case without getting into the boring details of how she came to every conclusion. The hostage drama played out too long and what happens to the brother of one of the hostages was illogical. Finally, Black's plot twist at the story's end was well done.